There exists a tool critical to the film industry which is used every single day across every single department, and if you are a total novice to the community, you may not even be aware of its existence. It goes by many names; Gaff Tape, Gaffer’s Tape, Camera Tape, Stage Tape, Spike Tape (although that is a little more specific). It doesn’t matter what you call it, if you want to make or work on films, it is absolutely necessary that you have a roll of it on hand at all times. What is Gaffer’s Tape used for? Just about everything. Gaffer’s tape’s origins actually have nothing to do with the film industry. It was developed by Johnson and Johnson during World War II as a tape to be used on baby’s butts. Okay, that was a lie. It was actually intended as a strong military grade tape that could be relatively waterproof and rippable without the need for a tool. These traits became highly sought after during the development of the film industry, where adhesive is used very frequently. 1 What is Gaffer’s Tape Used for? What is Gaffer’s Tape Used for? Gaffer’s Tape is used for basically every quick fix you could ever imagine in film. Film also happens to be an industry completely built upon a foundation of quick fixes. Every single department has found multiple uses for the adhesive. The list of potential uses for the adhesive is limitless, but we’ve compiled a short collection of the most common uses for gaffer’s tape. Labeling Walkies, set kits, possessions, pretty much everything. I’d like to say that last one was a joke but I saw it happen. It was unsurprisingly very effective. Why is it critical to your film production that you use Gaffer’s Tape over other solutions which can be up to 10 times cheaper? There are several qualities which make Gaff tape extremely desirable in the film industry. Gaffer’s Tape is easily rippable, both off the roll, and into smaller strips once already torn off. The rolls comes in Matte colors, so that it blends in with floors and walls and doesn’t reflect light. In general, it just feels great. Throw it on your walkie as a name tag. Rip it off. No Residue. Throw the same piece of tape on another walkie. Just as sticky as the first time. Tear that piece right down the middle with your bare hands because you can. Okay maybe I’m getting carried away. But it is definitely worth the premium you pay. Spike tape is actually somewhat synonymous with Gaffer’s Tape. It refers to Gaffer’s tape that has a more narrow profile. This is most commonly used during marking rehearsals and theater productions in order to mark the actor’s positioning. We have insisted that Spike Tape is commonly used for marking actors. However, Gaffer’s Tape is quite expensive, may not always fit into your budget, and may sometimes be overkill. Paper tape is a very cheap solution in situations where durability is not as important. Also known as masking tape or marking tape, paper tape comes in an assortment of different colors and is perfect for marking floors. I’m not even going to give you a link to buy this. Don’t bring this on a film set. I’ll talk about why briefly. In short, it’s way too sticky. It leaves residue on everything you put it on. The non sticky side is glossy and reflective. It destroys things. Just don’t. If you don’t want to read all of this and would rather get straight to the point, click here. 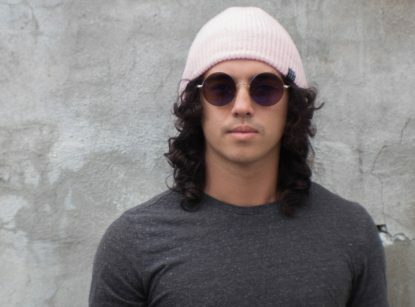 On one short film shoot awhile back, I was unfortunately forced to work with a man who ended up being one of the most penny-pinching stingy egoistic directors I have ever met in my life. This was a relatively low budget production, and this man had very little industry experience, which proved to be highly problematic as he was also producing the project and had little to no concept of the time and money required to run a production smoothly. We had paid for full access to a small business in town for a few days to be one of the key locations for his film. I was on the crew, and a few of my duties included set dressing and rigging our equipment’s wires throughout the building. On a production of such small scale, these two tasks are both noteworthy because they both require heavy use of gaffer’s tape. Our director/producer needed to personally approve every single purchase made for the film. During one of the first pre production days I approached him to inform him I was going to be purchasing gaffers tape and how much it would cost. 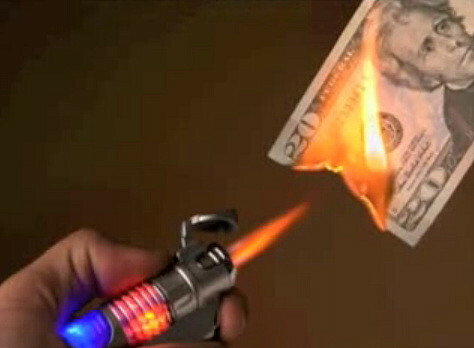 In the film industry, this is one of the most common low cost purchases and is often made incredibly frequently. I would not even have asked if not for his reputation as a penny pincher. Upon hearing my proposal and seeing the price of gaffer’s tape, he laughed in my face and said that there was no way he was ever going to spend that kind of money on TAPE of all things. Undeterred I attempted to convey to him how important Gaff tape is to any production, but he abruptly cut me off. He told me that there was no reason he should spend 15 dollars or more per roll of tape when he could walk over to Wal-Mart himself and get several rolls of duct tape (which he insisted was “Equally sticky”) for 99 cents a roll. If he was a little less rude I would have tried to argue further, but at this point I was already fed up with his behavior. “Okay”, I replied, “I will go out to buy duct tape instead”. Who knows? Maybe this guy knew something I didn’t and it would be fine? I had heard horror stories from my peers, but had never actually tried to use Duct tape in film myself, (I chose to heed the warnings of the professionals). We ended up spending less than $20 dollars on several different colors of duct tape. I used them to secure dozens of long cables across floors, walls, and even ceilings to disguise them and prevent tripping hazards on set. It was, as he said, at least “equally sticky”, and did the job just fine. Not a single problem was encountered for the entire duration of the production. That was, of course, until it was time for us to wrap out. I make my way throughout the building undoing my cable management and set dressing solutions. Without fail, every single wall I had applied the duct tape to ripped off tons of paint. A very unfortunate result, but relatively cheap in terms of repair costs, right? Well, yes, but lets not forget that I also used duct tape to secure things to the FLOORS. The entire length of my tape job ripped apart the finish on the nice hardwood floors. The producer was furious, and began to berate me in front of everyone for not being careful enough. He stopped dead in his tracks as soon as I cut him off to say “Remember when I told you to buy Gaff Tape?”. Afterward, I was informed that the owner of the location deemed the floor to be totaled. Per their contract he was entitled to have the entire flooring of his building redone. Not just the damaged floor panels, but several of the undamaged ones as well in order to keep consistency. It cost our producer thousands. I think its safe to assume that he bought Gaffer’s Tape on his next shoot. Boss refuses to shell out a little over $100 for Gaff Tape. Uses Duct Tape. Causes several thousand dollars in damage to the location. Film is an industry of excess and worst case scenarios. It is common to purchase way more than you need of everything, because deadlines are tight, and conditions are unpredictable. The costs of purchasing too much of something are often a fraction of the costs of running out of something, or not having it at all. Just $100 invested in gaffers tape could have prevented a problem that cost this man an exponentially larger sum. All this talk about Gaffer’s Tape has probably made you pretty hungry. For some Gaffer’s Tape. Its actually kind of hard to find in comparison to Duct Tape. 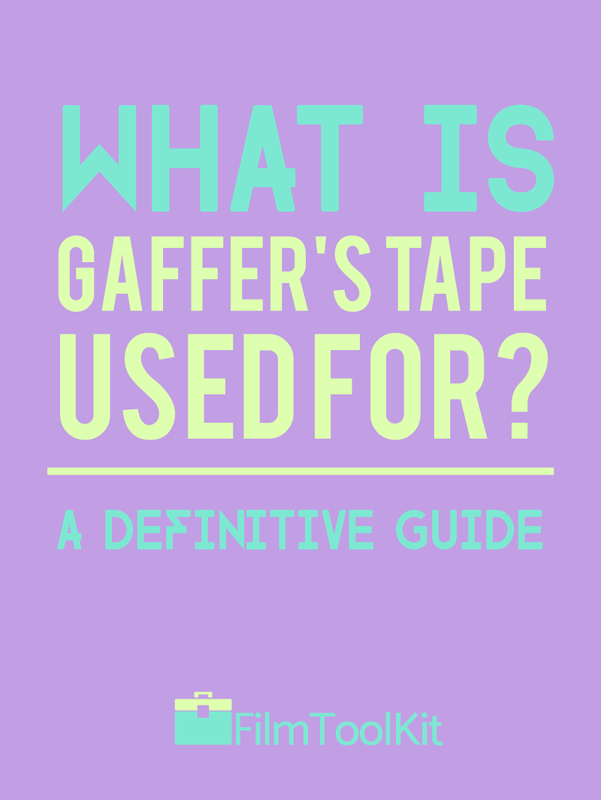 We’ve put together a guide on which brands of Gaffer’s Tape are the best, as well as information on where you can buy it locally! So what is Gaffer’s Tape used for? Marking your belongings. Saving thousands of dollars. Creating fake mustaches. Everything. If you have money, buy some. It’ll help.